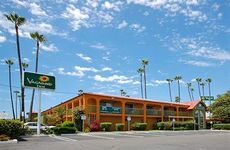 Find Vagabond Inn Costa Mesa deals, discounts and special offers. Top attraction in the area where the hotel is located include Disneyland, Huntington Beach, and Knotts' Berry Farm. This is an Energy Star labeled hotel, located near the harbor, and Seal Beach.